New research by a home furnishings website in the UK has discovered the true value of the average British household. According to the poll, the value of the average British home is £15,215. A new poll conducted by a home furnishings specialist has revealed the value of British homes. The average value of each item in the average British home was used to calculate the average value of the British home, with the most expensive items revealed as the ‘Television’ and the ‘Sofa’. www.TerrysFabrics.co.uk, a home furnishings specialist, conducted the research as part of an ongoing study into the value of Britons’ interiors. 3,186 homeowners took part in the survey, all of whom were over the age of 18 and lived in a 3-bedroom house. Respondents answered questions on the average value of items in their home, which were used to calculate the average value of the average British home. Initially, all respondents were asked ‘Do you feel that you have too many items in your home, such as furnishings and decorations etc?’ The team at Terry’s Fabrics reviewed the answers to find that the majority of respondents (61%) felt that they did have too much in their house. Researchers compiled the average cost of each room in order to calculate the average value of each home’s furnishings and items. 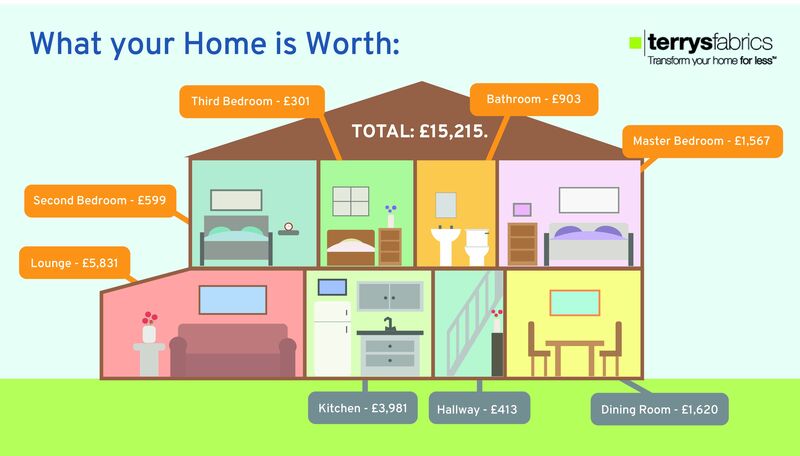 The total value of all the contents in the average British home was revealed as £15,215. If you’re looking to refurbish your home this summer but need a big cash injection, why not see if you are entitled to a tax refund? A good accountancy service will be able to claim a tax refund for you and you will probably be surprised by what you can claim. You can claim tax back on money you’ve spent on tools, mechanics tools, uniforms, travel and much more. There’s nothing to lose, it just take seconds to use the free online tax calculators to see how much you’re owed.